The heart of Stedsans in the Woods is the Third Space, which is located to the South and with a rich view of the lake. 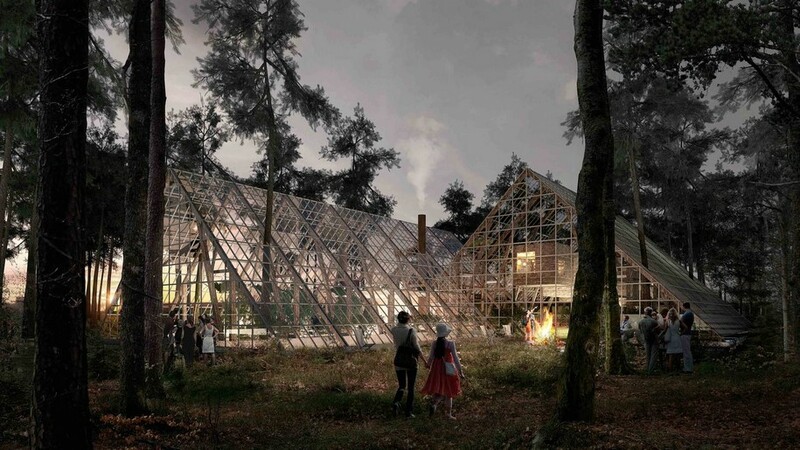 The bearing structure of the Third Space is two old wooden ladders harvested from Sloinge, Sweden. 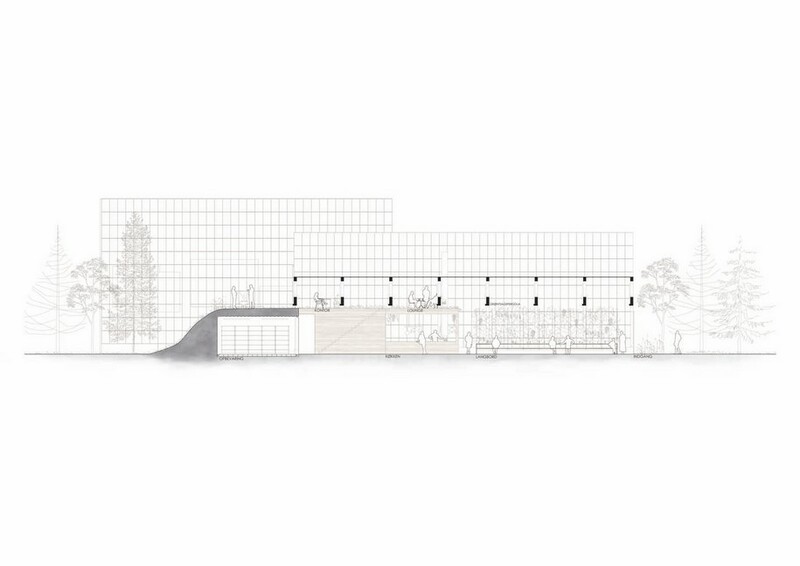 The ladders will be installed on top of a terrain – of concrete and big rocks on the ground. 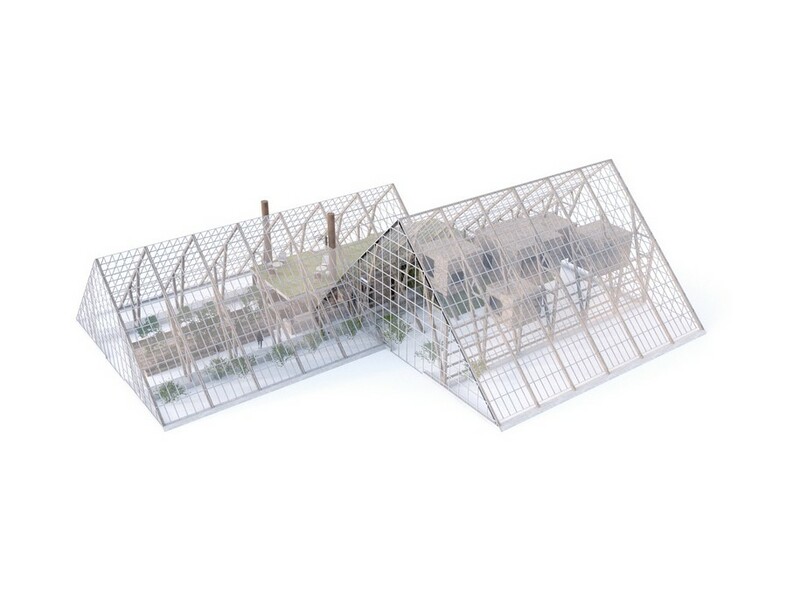 The entire construction will be packed in an off-the-shelf greenhouse system. With a point of the departure in the idea of ‘giving more than we take’, different sustainability measures will be implemented to create a farm where materials, life quality, biodiversity, energy and water are guiding star concepts. 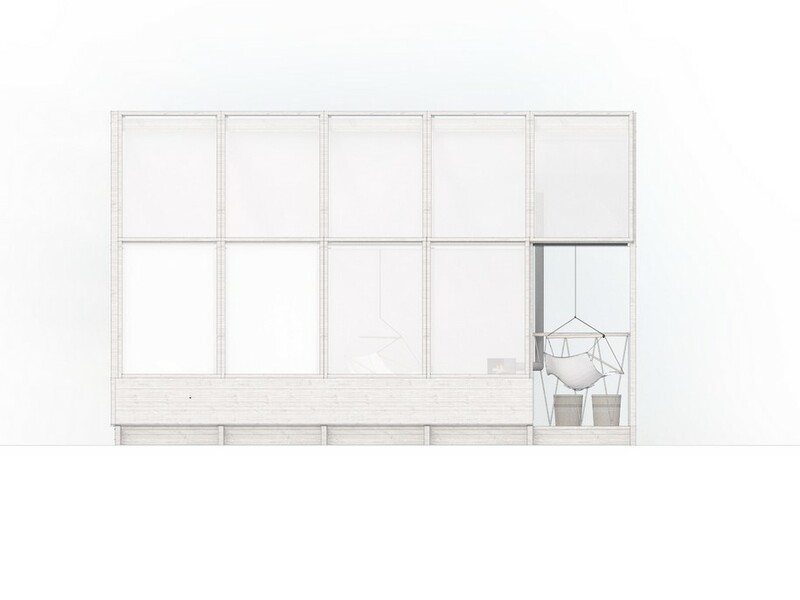 A building-integrated greenhouse shell will contribute to extending the season, bringing the outdoors indoors. The wooden structures of old barns from the surrounding area will be reused as the load bearing structure in the Third Space. 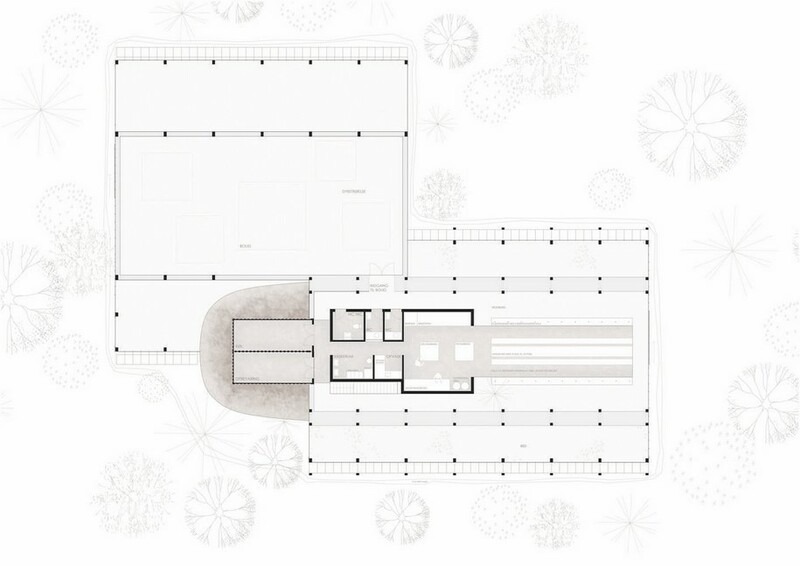 The inner walls will be made out of rammed earth from the site, while the outer ones will be built from stones and boulders uncovered during the excavation and clearing of the land. 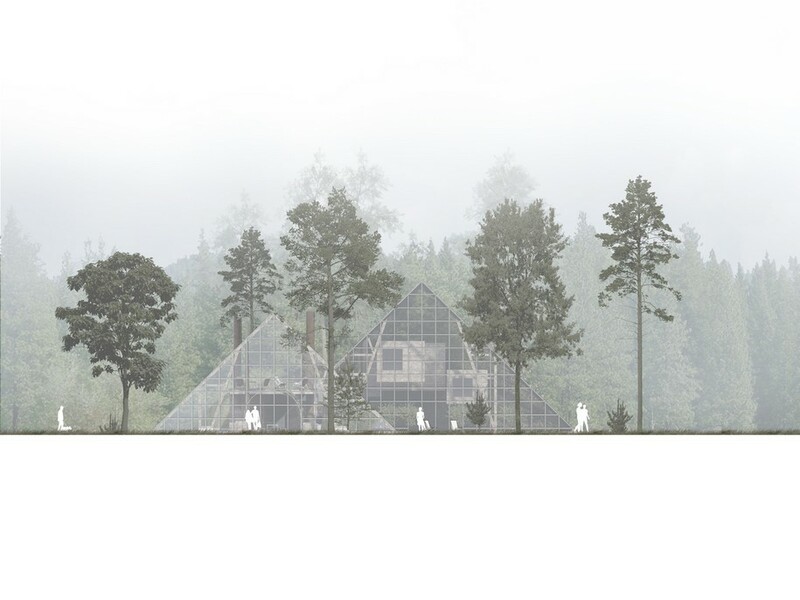 These concepts make it possible for Stedsans in the Woods to become the self-sufficient lab of tomorrow where all resources are cared for with respect for the nature that make for the location. 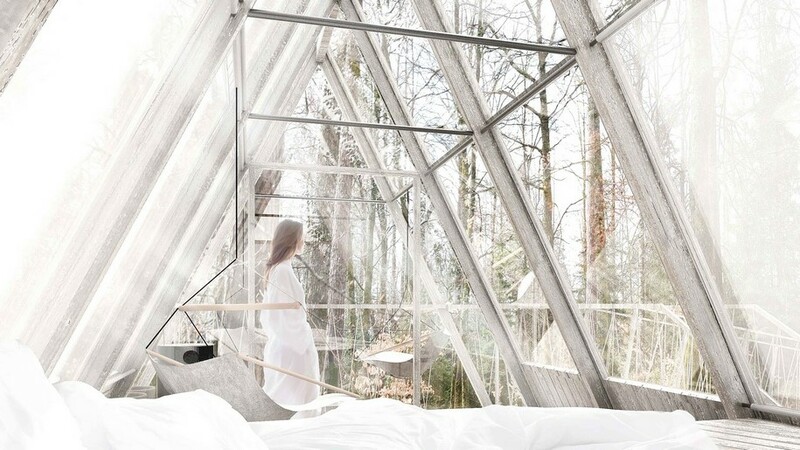 Together, the guiding principles generate an urban symbiosis for the family inhabiting the home and the guests embarking on a journey in the deep woods of Sweden. Discover more about Stedsans in the Woods here. 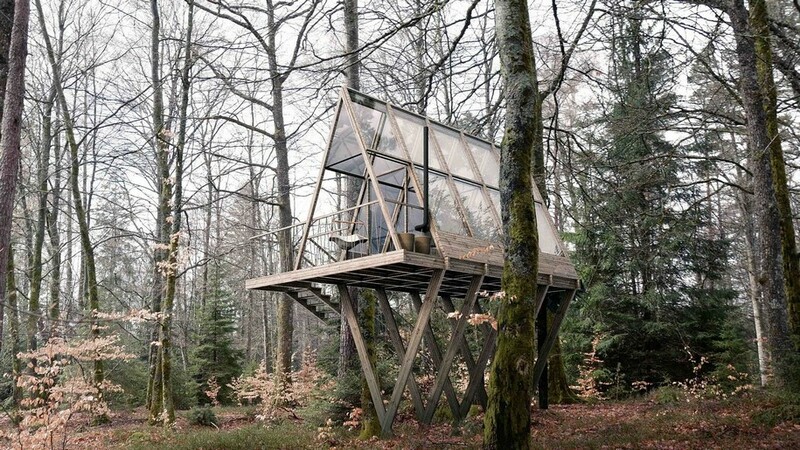 Are you enjoying cabins in the woods? 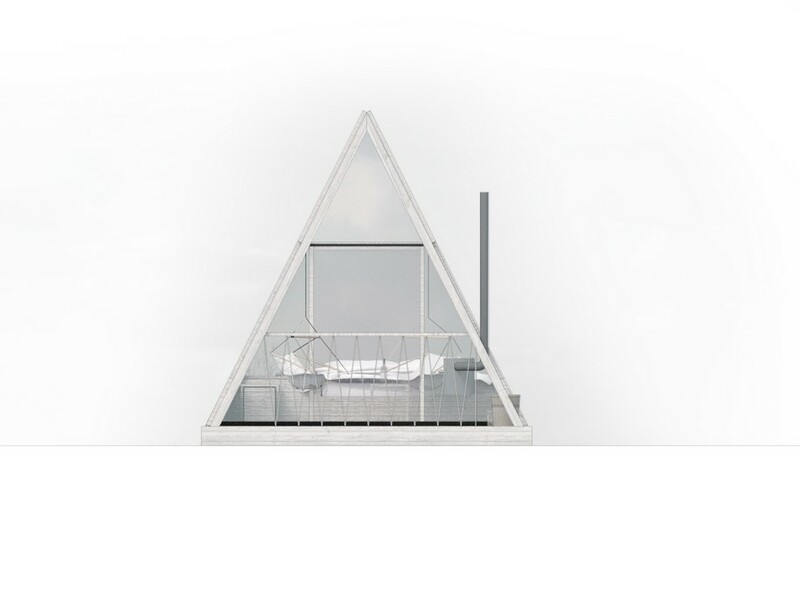 Then check these micro-cluster cabins by Reiulf Ramstad Arkitekter.